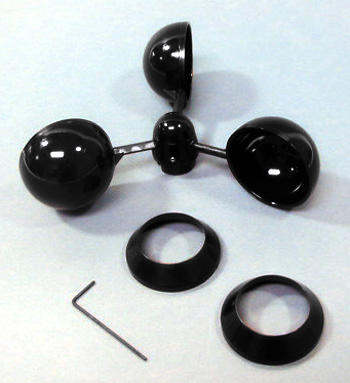 Replacement wind cups, large with horizontal magnet, for anemometers 2003 and later. Outside cup diameter: 1.5" / 38.1 mm. Note: Drip Rings shown in photo are not included.